Order Now – Deadline is October 15! Please support our annual Above & Beyond Yankee Candle Fundraiser. Remember when we used to have Yankee Candle parties in our homes or get invited to them? Sadly, because we are spread out nationwide, it’s impossible to do the sales by having a party. The great thing is that you can order online, have your items shipped directly to you, and have your purchase benefit Above & Beyond English Setter Rescue. Some wonderful stuff in the online catalog just in time to start your Christmas shopping Our rescue receives 40% of every purchase to let us help more rescues. 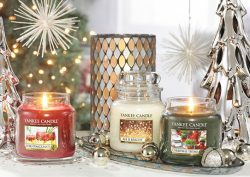 Shop on line at www.yankeecandlefundraising.com. If you don’t see the Above and Beyond page, sign on as a seller using this very important number 990027206 (this is what gives A&B the profit on the sale).